First Class Entertainment | Entertainment that comes second to none. First Class Entertainment congratulates our very own Rich Curtis on winning Kelly Ripa's Kelly & You contest, stealing the national spotlight as he co-hosts Kelly's Live! with Kelly! No matter the event, we guarantee you will remember it. We work directly with you, to make your event, yours. We have packages that are completely customizable to your needs. Whether it is a wedding or a massive high school prom, we will bring the party, every time. In the music industry, equipment and music is always changing. At First Class Entertainment, we always have the latest gear and the newest and hottest music. Entertainment that comes second to none. From the very beginning, we will work with you to make your event, yours. 1From the time of your first contact with us, we will make every effort to make the planning process easy and enjoyable. We work with you every step of the way to ensure your event is a success. 2With over 20 years of experience doing over 10,000 events, we can guarantee that we know how to back up our name. First class is what you pay for and first class is what you get. 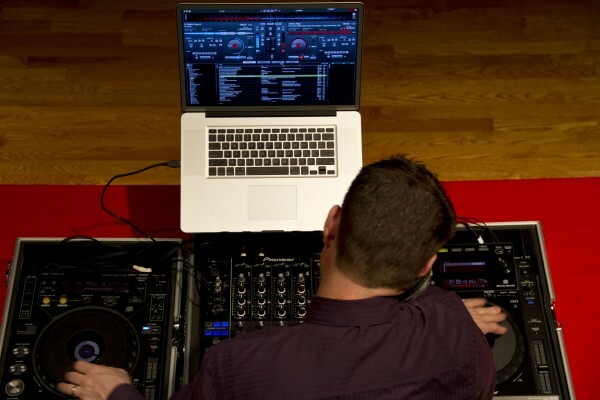 3Our sound systems can handle anything from a backyard bash to a stadium-sized event. Premium speakers and a premium sound let you hear your music the way it was meant to be heard. 4Turn off the lights and start up the party, because our lighting systems are second to none. Our light shows are completely expandable and will be programmed specifically for each event.